So you have launched the website, optimized it for search engine optimization (SEO), and managed to get some traffic. But that is just tip of the iceberg. A successful marketing campaign begins with the promotion of your business and email marketing makes a big part of it. Effective email marketing begins with a good plugin that you can integrate on your website to build an email list of your visitors who might become your future clients. Once you do it, you can then send attractive newsletters to your leads and let them know the special features of your service and how it can benefit them. The ultimate newsletter plugin for WordPress that over 18,000 people from around the world are using to send emails. It also helps in growing one’s business with email marketing. Mailster allows you to create stunning campaigns in minutes because it comes with an easy to use drag and drop editing feature that lets you create beautiful and interesting email campaigns and no coding is required in this process. It is the most powerful automation to easily engage with your contacts because it automatically sends a welcome note via emails, birthday greeting emails, trigger campaigns from actions, flow-ups, auto-responder, and many more. The process is as easy as few clicks. When the customer makes a purchase, an automatic email is sent one day later, to engage the customer in feedback, and a personal discount is sent immediately. Mailster enables you to have a record of your campaigns and subscribers with ease. You can easily track from where they are coming, which email they are using, their click rates and all other activities that you need to know to have the best possible conversation. Mailster stores all your info and data about the subscriber or user that is all free of cost. You can manage and store the newsletter within WordPress installation and you can edit or settle your information as per your requirements with ease. Because they work with popular and renowned plugins. It can have a great impact on your business. Currently, a large number of integrations are partnered which is a huge success and it could not have been possible without strong partnerships. Mailfit is considered as an all-in-one email marketing plugin for WordPress that includes everything you need to create from sending and tracking profit from email marketing to having the hold on them. It comes with many powerful tools like sending automatic email campaigns and following up once you click your mail. Mailfit does not work with any limitations, and you can have a hold on the entire system on your own. You can send the main through postfix, Exim, Sendmail or Qmail, and it can also integrate with other emailing systems like Mailgun, Send Grid or Amazon SES. You can manage your email campaign right from the WordPress admin dashboard and also you can share the email with any other WordPress users. You can easily manage the list of subscribers with Mailfit. With the features like Mass import subscribers from Excel or CSV, Single/double opt-in support, Custom subscribe/unsubscribe confirmation page, Autoresponder for subscriber welcome/goodbye emails, and List segmentation support. You can even have a track of all the emails sent to you through Mailfit. Plus, you can manage whether to allow the emails to reach users inbox or not. Open, clicks, and bounces are automatically recorded and visualized later that helps your campaign going forward. Advanced email template builder is another feature that Mailfit offers. It has many pre-built templates for you. Automation and auto-responder is another feature that has options like List subscription, List unsubscription, Subscriber’s birthday, Subscriber’s custom criteria i.e. quota exceeding, balance falling below minimum, package plan expiration, etc. Subscription from builders, email verification, live upgrade support, and a lot more features are also offered in Mailfit. One of the best plugins for your WordPress website, MailChimp For WP makes it easier for the visitors to subscribe to your website and enables you to send a tempting email copy to your leads. The best thing about mailchimp is its simple and customized sign up form that you can easily fill and send to your visitors. Besides, you can easily integrate this plugin with other WP plugins. The other salient features of this plugin are that it is available for free to up to 2000 mail subscriptions and you can create an account without paying any fee. In addition, the plugin offers plenty of add-ons to facilitate the users with any type of tasks. The installation process is fairly easy and simple. One of the most widely used WP newsletter plugins, Tribulant can be used for a variety of tasks related to the creation of subscription list and sending newsletters. 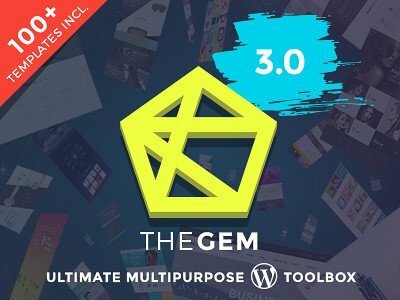 From creating eye-popping newsletters and organizing subscription list and integration with other plugins, you can use this tool for multiple purposes. 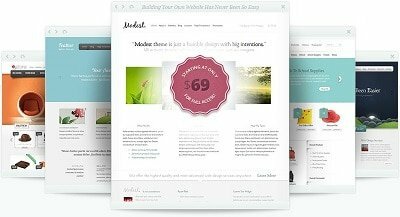 There are multitudes of templates available in this plugin that will enable you to create appealing emails. The templates are customizable so you can change the information in them and replace them with relevant details. Besides, you can keep tabs on the total number of subscriptions, outgoing emails, and the bounces. In addition, you will get a feedback based on the result of the aforementioned actions as well as the click-through rate (CTR) of the links in your email. The plugin is integrated with multilingual support which means you can use it for more than one language. One of the most highly-rated WP newsletter plugins, this versatile plugin can ease your job with writing and managing newsletter. What makes it stand out is the inclusion of content editor that enables you to create newsletter according to your particular requirements just like you do when publishing a post on WordPress platform. Using the content editor of the tool, you can easily drag and drop content into the newsletter. In addition, you can alter the newsletter by modifying the color, size, and style of the text. The other significant features of the plugin include unlimited subscription, multiple newsletter templates, and scheduling of posts. The plugin is fully responsive which allows you to send the email to different email services. And you can get reports about the success of your email marketing campaign by getting the hard data about the opened mail/unopened mails, bounces and clicks on the links in your emails. This is yet another top-rated WP plugins for newsletter service. The plugin is used by the biggest names of the business that includes the likes of Airbnb, and Entrepreneur. The popularity of this plugin is further validated by the staggering number of websites that use the plugin to manage their newsletter service. As of now, SumoMe has been installed for more than 100,000 times. After putting in so many efforts in building a website, it hurts when a big chunk of visitors leave your website without getting your service. This is where OptinMonster comes to your rescue. This simple opt-in form of the plugin allows you to effortlessly get email addresses of the leads who might become your future clients. The subscription recognition feature of the plugin shows email list of the newly subscribed visitors. It also embeds MonsterLinks that users can click to see an opt-in popup. As cool as its name, Icegram is among the most prominent WP plugins for newsletter services. Unlike the other plugins, it empowers the users to do more with their marketing campaign in less time. The many facets of this tool enable the users to generate plenty of opt-in emails and start pitching your services by writing superb emails. The most notable thing in this plugin is its feature for pulling in the leads by invoking the interest of the readers. It does it by creating attention-grabbing headlines, using a call to action buttons and making an offer. This plugin is available in four different opt-in types. Each of the types serves different purposes. For example, one of the versions allows you to set time to your popups, so it automatically opens when the clock ticks the specified time. The other version has the action bar to make an announcement, and generate a call to action. And you can make use of notifications and alerts to send invitations and alerts. Bloom is another excellent WP them for newsletter services. In fact, it is one of the best WP newsletter plugins with more than 300,000 customers all over the world. The amazing beautiful 115 themes are the most incredible things in this plugin. In addition, it is available in six different types of popup forms: opt-in fly-ins, automatic popups, opt-in to unlock content, inline opt-in forms, widget area opt-in forms, and below content. In addition, it is integrated with various powerful tools to synchronize your job. Whether it is about evaluating the progress of your email marketing, adding/modifying accounts, or checking the lead conversion rate, you can do a multitude of activities with help of this multifaceted tool. The variety of design features in this plugin is what gives the users a range of tasks to pull off email marketing from scratch. Whether it is the pre-made design templates, 3 opt-in form orientations, image orientation options or unlimited color options, you can do an array of changes in the design and layout of your email. In addition, you can use the “settings” tab to change the way your emails appear to the users. Additionally, there are plenty of other options to streamline the different aspects of email marketing that include time delay which will enable the popup to appear on the screen after a certain time. Similarly, you can activate the “after purchasing” feature that will automatically send promotional updates to the users after they purchase something from your online store. This is the advanced version of the MailPoet Newsletter 2. With a simple design and an easy-to-use interface, the newsletter services couldn’t be any easier. What attracts the users is the tempting offer that allows the users to send 2000 mails for free. So now you can make sure that your mails don’t land in the spam folder. With a better design and interface, the plugin markedly makes a transition from its earlier version. But that’s not the only feature in this new version as there are also other fantastic aspects of this plugin that deserve a mention. The most noticeable among them is the reduction in price as MailPoet is available at a meager price of $10 which is way cheaper than the previous $99. 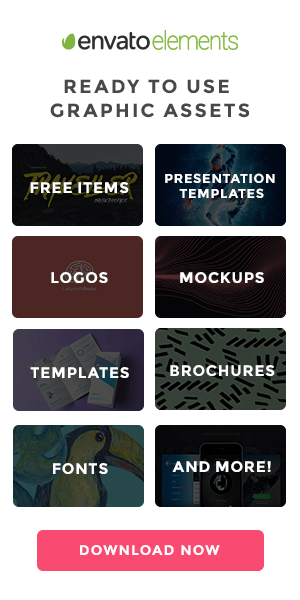 Besides, you can avail 20 free templates. Unlike the previous version, you can edit the form’s CSS as well as send mails to specific WordPress user roles. The migration process is also a breeze. However, you have to do it in the first attempt during the upgrading process. Once you are finished, you will be able to transfer everything except those which are not supported by the new version. The other notable features of the plugin include support for more than a dozen languages, integration of widgets, and a responsive design that looks amazing on all devices. This is an all-in-one WP plugin that allows you to do multiple tasks at a time. Apart from generating subscription and building a mailing list, you can also send and receive mails. In addition, you can get the data about the actions of the mail recipients, i.e. whether they read your mail or not or if they clicked on the link in the mail. You can see the analytics report and check how many of the recipients have read your mails and how many of them have clicked the links. You can even find out the quantity of bounced mails. This exclusive plugin for email listing and newsletter services is the best solution to generate email list and market your online business. The beautiful design and user-friendly interface are what give it an edge over other similar plugins. Besides, it gives you more options to control your email marketing campaign. With a click of the button, you can send emails to your subscribers and inform them about the many benefits of your service. You can even automate your mails and set a time to deliver them on a special event, such as Christmas, a birthday of your subscriber, or anniversary of your business. The simple ‘drag and drop’ layout allows you to put up the content in your email without any hassles. When it comes to managing the mails, it provides you a convenient way to store and edit all your mails. In addition, you can get facts about the progress of your email marketing by checking the statistics about opened/unopened mails, bounces, clicks, and unsubscriptions. The aforementioned are some of the best plugins for newsletters services. Using them can really make your job easier and simpler. Author Bio: Anna Marsh is a Blogging Guru, Online Marketer, and an Online Educator. Being an academic expert, she serves students various essay writing services. She is a fervent reader and likes to read on different kinds of topics including self-help, education, career, technology, and business. You can connect with her on Facebook, Twitter, and Google+.